Home >> Opinion >> Will 2020 Be Biden vs.Trump??? 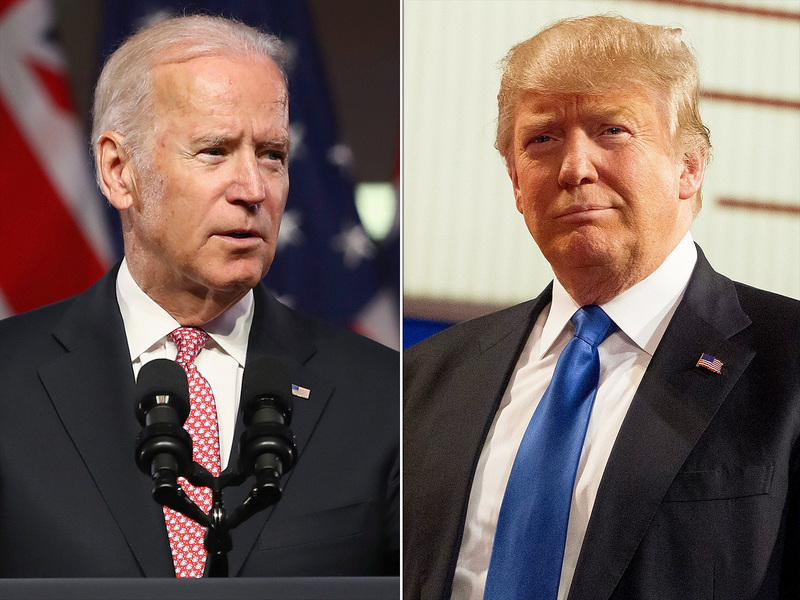 Will 2020 Be Biden vs.Trump??? Nothing could be further from the truth as Americans are doing better under Trump than they have ever done before and we have the greatest economy in 50 years. Hispanics, blacks and youth unemployment is the lowest in 50 years and women’s unemployment is the lowest in 64 years. Unemployment, in general, is at an all-time low at 3.9 percent. Everyone is benefiting from tax cuts not just the rich. People have more money in their paychecks because Trump lowered the FICA (social security) tax and people collecting social security got a nice raise. Companies are coming back here from overseas because he lowered the big business tax from 35% to 21% and small business tax from 25% to 15%, It’s Biden’s ideas that are old and draconian not Trump’s. Biden became enraged against Trump’s proposed budget for hurting middle-class Americans, cutting federal programs, and raising the federal deficit. “Folks, we are literally in a battle for the soul of America,” Biden said to applause. Unfortunately for Biden, his comments are void due to the fact that under President Trump the economy has been the highest it has been since 2001. Also, because of his work with the economy, his approval ratings have been the best it’s ever been. A loser choosing a loser for a running mate – perfect couple! He’s just doing this to appease her and get the women’s and black vote. What a fake, phony fraud. Just what we need after they lose in 2020- the black version of Hillary who cannot accept defeat. Joe, Joe, Joe – talk about pandering. Robert (Beto) O’Rourke is doing the same thing with picking a woman VP!!! , Democrats still have the mentality that blacks are gullible, stupid, moron and uneducated , that, just giving them a free cell phone, free snacks and free rides here and there, the black community will be so happy to vote for them. They are the true racists. 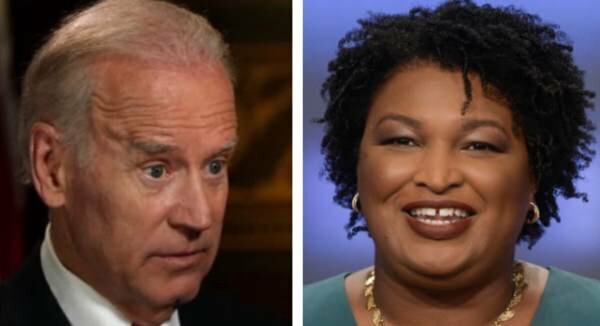 A spokesman for Joe Biden waited for the cover of the Mueller report release to the Justice Department to shoot down a trial balloon floated on Thursday that Biden was considering immediately naming failed Georgia governor candidate Stacey Abrams as his vice president should he decide to run for president. A spokeswoman for Abrams followed with a concurrent denial. However on Thursday Biden’s office declined to comment while an Abrams spox said about the Biden report that Abrams “continues to keep all options on the table for 2020 and beyond”. Biden is also known for his famous gaffes. Such gaffes as “You can’t walk into a 7-11 without hearing an Indian accent” or when he spoke to a black congregation and said about Republicans, “Their going to put you all back in chains.” If a Republican said those things they would be excoriated to no end, but when Biden says them they just laugh and say, “That’s just Joe being Joe.” The hypocrisy abounds as always with Dems. Appearing Monday evening on the Fox News Channel, radio personality Glenn Beck told host Sean Hannity that “we are officially at the end of the country as we know it” if the Republican Party fails to win the 2020 election. As part of their nearly 10-minute interview, Beck explained how he believes various radical groups are plotting together to “destabilize” the West, warning that the plan is already in motion. Yes, 2020 is going to be an election to watch closely for sure whether it’s Biden or whoever else decides to run against Trump.